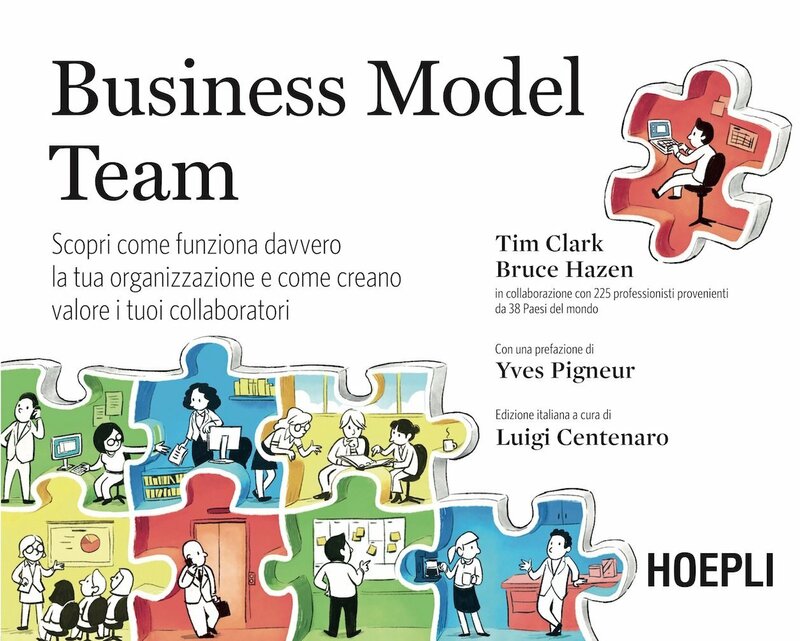 I am genuinely proud to see, thanks to my esteemed publisher Hoepli, the Italian version of the Business Model for Teams book by Tim Clark and Bruce Hazen. I presented the book at its launch last October at the SMAU Technology and Innovation fair with the much more Italian friendly title Business Model Team. Please forgive my initial bout of enthusiasm… but I spent endless evenings painstakingly translating the book sentence by sentence. 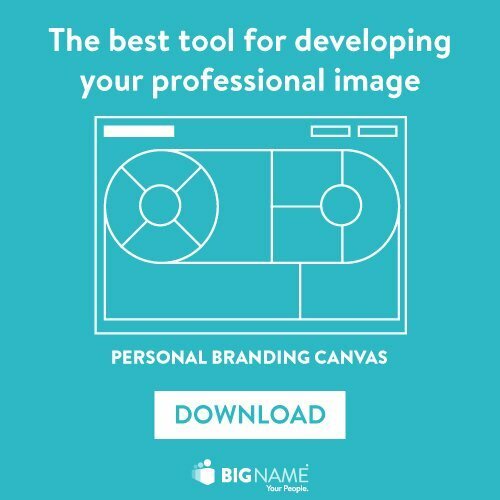 I put a lot of time into integrating aspects of marketing with strategy, organizational development, management, staff development, and above all, design. It was no easy task, I can tell you. Indeed, the book is the first ever application of the Business Canvas Model to teams! The Italian edition of Business Model for Team begins with a fascinating preface by my friend, the exceptional volleyball coach and manager, Gian Paolo Montali. Gian Paolo earned himself a volleyball Olympic silver and is now the General Manager of Italy’s 2022 Ryder Cup Project. The book includes of course Yves Pigneur’s preface to the international edition( Pigneur also co-authored the book Creating Business Models along with Alex Osterwalder). The book introduces a single paradigm and terminology to aid designing at all three levels: that of business models. 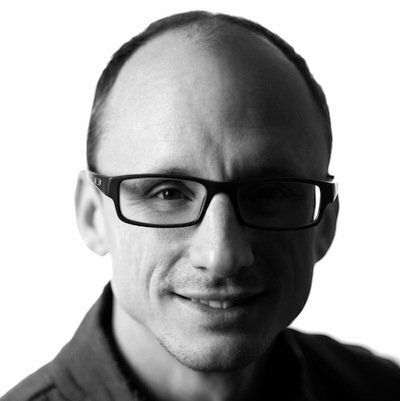 The application of the business model paradigm to how teams and people function within companies helps these groups align their objectives with those of businesses more rapidly and more effectively. The book contains two of our case studies: the development of Italian Fortune 100 utility company Enel’s new Digital Global Team and a leading Italian insurance company Cattolica Assicurazioni’s internal mobility project. The book is the result of an evolutive process. 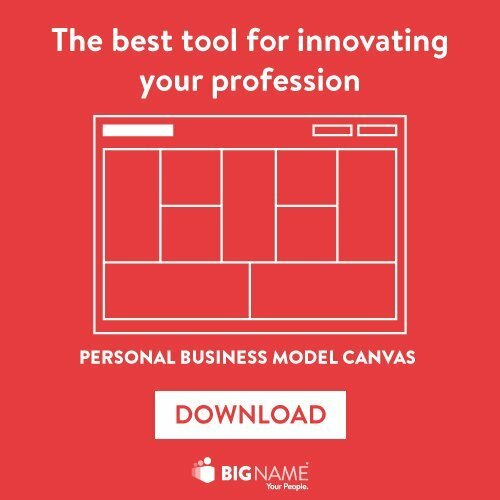 The Business Model Canvas was being applied spontaneously to organizational issues by countless professionals around the globe. 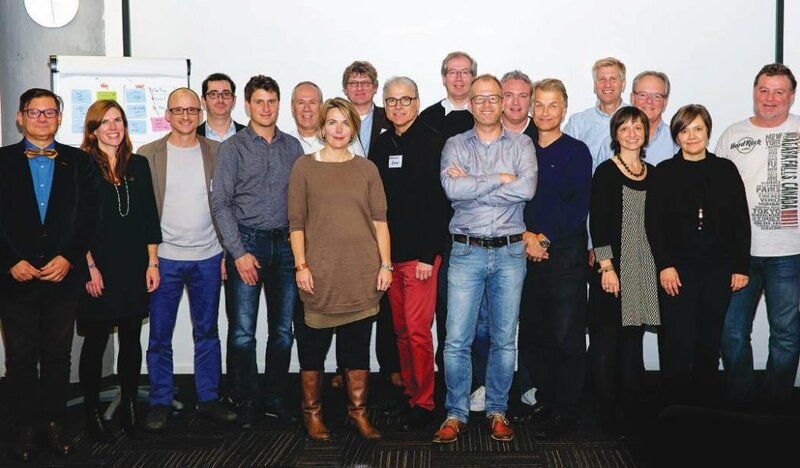 Tim and Bruce, who had long been thinking about condensing these experiences into a process, invited to Amsterdam a select number of the leading users of their methodology to the workshop mentioned in the book. Here’s a group photo! As the workshop was coming to an end, there was a level of uncertainty over how to apply it systematically to teams. 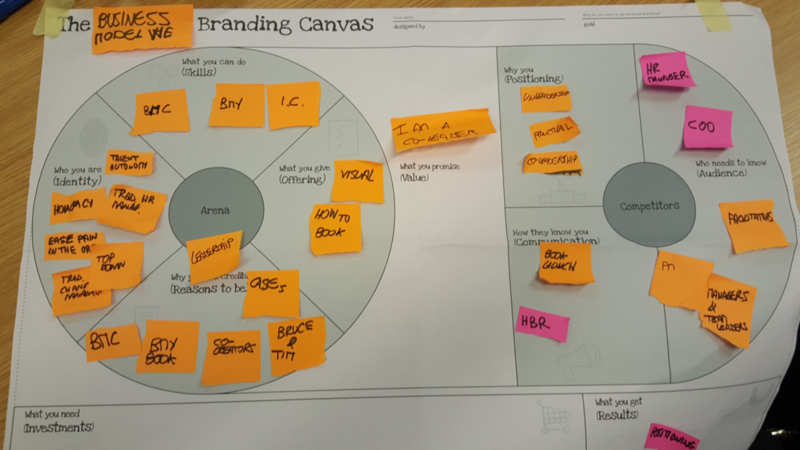 I seized the opportunity — which was actually quite daring of me in view of the illustrious company in which I found myself — to pull out a copy of what was at the time a mere internal prototype of the Branding Canvas and I started espousing my hypothesis on the book’s strategic positioning. In the end we envisioned altogether an ultra innovative, practical and visual book in the management section of bookstores. A book capable of offering support to managers who strive to develop the autonomy of the teams they lead. Their aim being to manage less and lead more. This is why the initial title of the book I proposed was Business Model We and not Business Model for Teams. The book then, along with the input from a community of 225 people from 39 countries, evolved into its current form! More information on the book can be found on this page of Tim and Bruce’s website. The italian landing page of the book is on our BigName website.